The school that teaches students to say "I can change the world." I recently met up with university students at two different events. I asked them to spontaneously describe their experiences in three words. The words used by university students to describe their experiences of primary school education sounded nice: play, recess, idyll, traditions, buddies, music. When I asked them to describe their experiences of primary and lower secondary school education as a whole, the words they chose were a bit gloomier: greyness, rubber potatoes, bullying, monoculture, boredom. Studying at university was described by the following words: lonely, interesting, detachment, self-challenging, insecurity, drifting. Despite the sample being rather limited, some conclusions can be drawn. For instance, the feelings of greyness and insecurity seem to increase in line with the number of years spent at school. Having people in the world who are capable of tackling thorny issues such as the climate change and being able to find solutions to these issues requires providing more such capabilities through education. Our education system should produce people who have the mindset of “I can change the world”, and who have command over the tools to make change happen. It is about fostering the potential that students inherently have inside them. 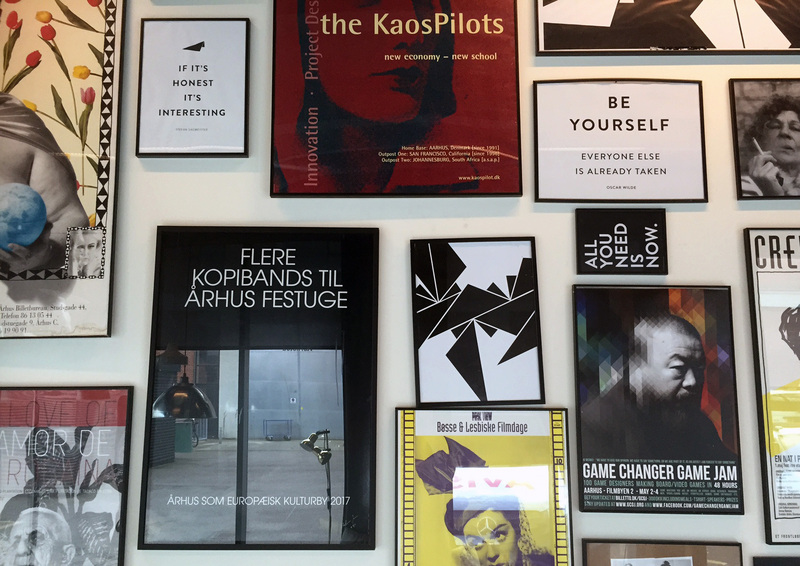 In October, I visited the Kaos Pilot school in Aarhus, Denmark. The school’s three-year programme, combining business and design, is equivalent to a Bachelor’s degree in scope but in other respects it is very different from traditional studies at institutions of higher education. The programme is centred on teaching “change makers” the ability to navigate their way through uncertainty and to use it to their advantage, and to also get excited about the opportunities presented by uncertainty and complexity. The studies comprise working on projects with clients and a four-month study period abroad, during which the student works on a “change target” chosen together with the local community. The final year of studies is fully focused on the individual student’s own business idea and personal project. “The premise here at Kaos Pilot is not really to help us find career employment, but rather that we create our own jobs and perhaps employ a few others in the process,” says Anu Paajanen, who is the only Finnish student at the school. What is the desired outcome of value creation? Education at Kaos Pilot is rooted in action rather than theory. At Kaos Pilot, students are evaluated on the basis of four criteria which also serve as the objectives of education: the students are urged to create deep meaning with others, improve themselves as change makers, develop and foster their personalities and co-operate with their local community. Kaos Pilot has set hard goals: to be the best school for the world, with a focus on social change, creative entrepreneurship and personal growth. Students have to pay a fee to study at Kaos Pilot and only 38 students are admitted each year. Nevertheless, according to the Head of International Development and Education Design, Simon Kavanagh, compared to an average higher education institution, the school has fewer teachers in relation to the number of students. “It all starts with creating a close-knit community in which the students are responsible for their own learning, while knowing that assistance is available, provided by the team leaders and other staff, whenever necessary. We care about every one of our students,” stresses Kavanagh. “Every school and other type of educational institution in the world is faced with the exact same question: how to create commitment, autonomy and room for risk-taking? Social and emotional perspectives and the perspective of leadership skills are lacking from institutions of higher education,” Kavanagh adds. The spirit of Kaos Pilot was crystallised well in the conversation I had over lunch with Johannes Björkman. He graduated from the school last summer. I asked Johannes what his life had been like after school, and he replied that it was not much different from life during school, because Kaos Pilot is not an institution that is isolated from working life. Visiting Kaos Pilot was part of Sitra’s international research project for studying the role of education in the transition towards a sustainable well-being society. It is a society that adapts to the limits of Earth’s carrying capacity and where a holistic approach is applied to well-being. Our international team of authors has 14 members. Interested? Join our network on Facebook here. Read more about the Education for a Changing World project here.